On the 22nd of January, I returned from the awe inspiring Kumbh Mela in Prayagraj, Uttar Pradesh. A journey of faith, humility, and gratitude, this is my experience at the Kumbh. The Kumbh Mela is the largest gathering of humanity in the world. This year it is believed that 150 million people will attend the Kumbh in Prayagraj to take a dip in the Ganga between January 15 and March 4. It is for this reason that the Kumbh has been added to UNESCO’s list of “Intangible Cultural Heritage of Humanity”. Rishi Kashayap married the daughters of Prajapati Daksh - Diti, and Aditi. Of these, the Devas were born from Aditi, and the Asuras were born from Diti. Being the children of the same father, they made a promise to churn the ocean for it’s many valuable hidden treasures. It was found that the ocean held 14 such treasures, of which one was a pot of ‘Amrit’ (a nectar of immortality). This pot of ‘Amrit’ is what is known as the ‘Kumbh’. As both the Devas and the Asuras wanted immortality, a fight ensued between them for the Kumbh. Upon seeing the deteriorating situation, the Devraj Indra instructed his son Jayant to take the pot of Amrit and run. At the banks of the River Ganga in Haridwar. At the Triveni Sangam in Prayagraj (Allahabad). And At the banks of the river Godavari in Nashik. It is at these spots that the Kumbh mela is held. Hindus believe that bathing in the Triveni Sangam during the Kumbh Mela ensures Moksha or Salvation. The Maha Kumbh is held every 12 years by rotation at Haridwar, Prayag, Nasik, and Ujjain. In between, the ‘Ardh’ Kumbh or half Kumbh, is held every 6 years. The current Kumbh mela, is actually an “Ardh Kumbh” or half Kumbh mela. The preparations for this Kumbh by the Government have been truly remarkable. For starters, there is a massive temporary township of 2500 hectares that has been created on the banks of the river specially for the Kumbh. This temporary tent city has proper sanitation for pilgrims, with easy access to the river for those looking to take a dip. 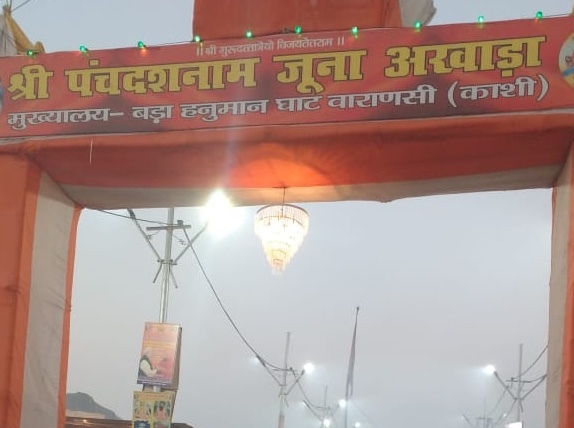 Instead of relying on the existing infrastructure of the city of Prayagraj to look after the sudden influx of people, the government has created a temporary Police Station, a temporary Fire Station, and a temporary HDFC Bank Branch facility- all situated on the banks of the river for easy access of pilgrims. There are several computerized lost and found centers with large, well-lit balloons marking the spot all over the Kumbh Mela. Interestingly, the balloons light up at night- they’re sponsored by Eveready, the battery makers. So the Kumbh is not just a mass pilgrimage, it is also a fantastic opportunity for companies to advertise. There are also mobile ATMs provided by ICICI bank all over the Kumbh mela. In the river, in the area around the Triveni Sangam, the river has been divided into two lanes- one for incoming traffic and one for outgoing traffic to the Sangam. This has been done so that boats do not crash into each other. The boats are all kitted out with brand new life jackets for the boatmen and the pilgrims. The water police ensures these are worn by the passengers and boat men alike with strict enforcement of the rules. On the river itself, there is heavy patrolling by water police, a speed boat with medical facilities called the “water Hospital”, and they are strict, they are particular that no one comes to harm. If you are visiting the Kumbh, there is no better experience than that of staying in the tent city along the banks of the river Ganga. Ideally it would be better if you went in a large group as opposed to individual/ solo travelers as the government is actively encouraging group travel. There are several tent cities on the banks of the river and depending on your budget and availability you are sure to find the right accommodation. Since we had traveled to the Kumbh as part of the Times Passion Trail, our arrangements were made by them and they were in a word- Superb. Times Passion Trails went out of their way to make sure that participants in the trail were well looked after. 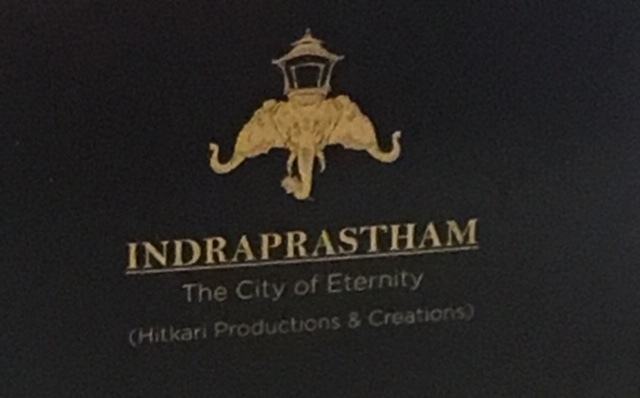 Our stay arrangements were at the Indiraprastham Tent city. Here, all tents come with attached bathrooms which have geysers and toilets. The accommodation is with meals which are prepared with Satviik ingredients only. If taking a dip in the Sangam is not your thing, not to worry. There is more to the Kumbh than just that. A trip to the Kumbh wouldn’t be complete without visiting the Akharas. The word ‘Akhara’ comes from the word ‘Akhand’, which means indivisible. The no of Akharas present at this Kumbh is a record 13. In this context, an Akhara is not a martial arts training camp, although training in Indian Martial Arts is part of their mandate. The closest description in English would be a Monastery- with boarding, lodging and training of Sadhus in both the martial arts, and the religious monastic aspects. Of the 13 Akharas, seven are Shaiva and three each are Vaishnava and Udaseen. Shaiva Akaharas are those that worship Lord Shiva in various forms. These are the Shri Panchayati Akhara Mahanirvani (Prayagraj), Shri Panch Atal Akhara (Varanasi), Shri Panchayati Akhara Niranjani (Prayagraj), Taponidhi Shri Anand Akhara Panchayati (Nasik), Shri Panchdashnaam Juna Akhara (Varanasi), Shri Panchdashnaam Aavahan Akhara (Varanasi) and Shri Panchdashnaam Panchgani Akhara (Junagadh, Gujarat). The Vaishnava Akharas worship Lord Vishnu in various forms. These Akharas are the - Digambar Ani, Shri Nirvani Ani and Shri Nirmohi Ani. Chandra Dev, the son of the first Sikh Guru, is believed to be the founder of the Udaseen Akhara, whose followers offer their prayer to ''Om''. The three Udaseen Akharas are Shri Panchayati Bada Udaseen Akhara, Shri Panchayati Akhara Naya Udaseen and Shri Nirmal Panchayati Akhara. In terms of strength, the Juna Akhara (formed in 1146CE) is the largest, followed by Niranjani and Mahanirvani Akharas. As part of the Times Passion Trails we had the chance to visit two major Akharas- The Juna Akhara and the Gorakhnath Akhara. Of these the Juna Akhara should not be missed. It has Sadhus of all kinds, right from the famous Naga Sadhus onwards. In all I would say that the Kumbh is as much a spiritual experience as it is an experience for the for the adventure seeker. The whole thing- is simply put, awe inspiring. Believe in Moksha or not; religious or atheist, it is an experience unlike any other, and words do not do justice to it. You have to experience it to understand the sheer power of it. The Kumbh Mela is on in Prayagraj (Allahbad) until the 4th of March 2019. The remaining auspicious bathing days of the 2019 Kumbh Mela are Mauni Amawasya (February 4), Basant Panchami (February 10), Maghi Poornima (February 19) and Mahashivratri (March 4). In November 2016, the Indian government "Demonetised" the Rs 500 and the Rs 1000 notes (bills). In other words these are no longer legal tender, and have been replaced by new notes. Read on for basic financial information for travelers coming to India for the first time. If this is your first time playing Holi in India, there are a few basics that you should know. Here are a few rules for playing Holi in India. A trip to Nashik is a must for any one interested in being in the wine business in India. This post has a wealth of information about Indian wine country.